I am the product of integrated schools. Here's why, despite the challenges, I believe efforts to further and support integration are indispensable today. Is integrated schooling in the United States a goal still worth pursuing? This is neither a cynical nor a hypothetical question. As we contemplate the significance of the 65th anniversary of the U.S. Supreme Court's Brown decision, this basic question carries special pertinence. Today, all the evidence shows that even as American society is growing more racially and ethnically diverse, many of our schools are headed in the opposite direction. Moreover, no major political leader has stepped forward either to call attention to this trend and its implications, or to offer ideas on what might be done to reverse it. Across the country, many schools today are characterized by growing racial and socioeconomic isolation. However, this does not mean that Brown was a failure. Most legal scholars still regard Brown as a historic, groundbreaking decision, one that warrants rarified status among Supreme Court rulings. Despite later setbacks, Brown did bring about an end to legally sanctioned racial discrimination, or what might fairly be regarded as "American apartheid." The Supreme Court's unanimous ruling in the case is credited not only with starting the process of eliminating racial barriers in education, but also with setting precedent for the elimination of racial barriers to voting, housing access, employment, transportation, and other facets of life in America that are essential to full citizenship (Grant-Thomas & Orfield, 2009). African American children on their way to school in New York City in 1965 pass a group of white mothers protesting school desegregation efforts. The school integration movement was at its height during the author's youth in the New York area in the 1960s and 70s. Yet, even as we acknowledge the historic significance of Brown, we must also acknowledge its decreasing impact on public education. 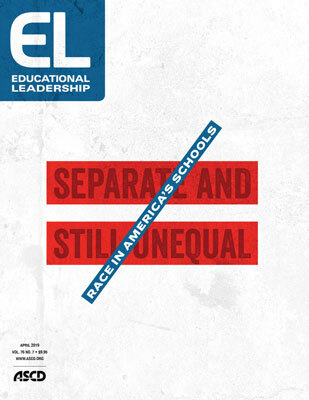 Any objective appraisal of where we stand as a nation today with respect to progress in racial integration in schools reveals that Brown—and the Court's call for it to be implemented with "all deliberate speed"—clearly has not lived up to its promise or potential (Jung, Costa Vargas, & Bonilla-Silva, 2011). This is due in part to subsequent court rulings that weakened and undermined Brown's power and to the persistence of residential segregation. But it is also attributable to continued racism in our society, a lack of civic will, and the absence of political courage. We should all be concerned. At a time when our nation is becoming irreversibly more diverse, our lack of commitment to racial integration poses a major threat to the cohesiveness and stability of American society. In the 1970s, school busing—in which students were transported to schools outside their neighborhoods—was a common school-desegregation practice. In recent years, several scholars and commentators, many of whom happen to be Black,1 have openly questioned the value and importance of racial integration in schools. Some point to the benefits that prior generations experienced from attending schools staffed and led by Black educators who cared for their students, challenged them academically, and never doubted their ability to excel (Siddle Walker, 2000). But while this narrative is clearly part of the history of Jim Crow schooling, it is only one part of it. Other scholars remind us that the Supreme Court's 1896 ruling in Plessy v. Ferguson—which called for schools to be "separate but equal"—was never realized. Prior to Brown, systemic discrimination and inadequate resource provisions relegated students of color to inferior schools and profoundly unequal education experiences (Gamoran & An, 2016). For 20 to 30 years after Brown, many communities across the country took Brown's mandate seriously and attempted to integrate schools to undo the legacy of separate and unequal schools, sometimes compelled to do so by court mandates. However, the period of aggressive court enforcement was largely short-lived, and in many cases, the progress that had been achieved has been reversed. Today, the average Black student is most likely to attend a school where 49 percent of the students are Black. For Latino students, the patterns are even more extreme, with 57 percent of Latino students attending schools where the majority of students are Latino (UCLA Civil Rights Project, 2014). But these averages fail to capture the hyper-segregation by race and class that is common in most urban areas. On the whole, Black and Latino students throughout the United States are most likely to attend schools where the majority of students are poor and the resources available to serve them are inadequate (UCLA Civil Rights Project, 2014; U.S. Commission on Civil Rights, 2018). Throughout the country, most children of color are experiencing what might be termed "double segregation"—separation by race and class (Boschma & Brownstein, 2016). Typically, increased racial isolation is accompanied by a concentration of the poorest and most disadvantaged students in certain schools. Because their achievement indicators are consistently low, many of these schools have been labelled as failing by state bureaucracies that theoretically are supposed to help them. Even though it is widely known that many of these schools struggle because they are overwhelmed by the wide variety of problems that frequently afflict poor families and communities (including violence, homelessness, hunger, and trauma), education policymakers often ignore and fail to address these issues or the academic challenges that accompany them. Instead, under the guise of accountability, education policy has more often been designed to apply pressure and impose sanctions on underperforming schools and districts. Thus, not only is segregation no longer acknowledged as an obstacle to educational advancement, but neither is poverty, or what we might call the "accumulation of disadvantage." The evidence, at this point, is clear: Not only have we failed to live up to the promise of Brown, we have failed even to deliver on the promise of Plessy. Poor children of color across America not only increasingly attend schools that are separated by race and class, but they are also most likely to be assigned to schools that are profoundly unequal (Boschma & Brownstein, 2016). Aside from the legal and policy setbacks, the lack of will to address the issue of growing racial segregation in education might also be explained in part by our failure to draw attention to the benefits associated with integrated schooling. It is important to recall that while, in many communities, racial integration was fiercely and at times violently resisted, in other places there was greater openness and support. During the 1970s and '80s, the number of students attending racially integrated schools steadily and dramatically increased. I was one of those students. I was raised in New York City in the 1960s and '70s, at a time when school busing was common. As a result, like many others of my generation, I know both the costs and the very real benefits of integrated schooling. For my first few years in school, I attended racially segregated schools in New York City. However, in 1968, when I was in 3rd grade, my family moved from Brownsville, Brooklyn, to Long Island in search of better housing and better schools. We moved first to Bay Shore, a relatively affluent community located on the south shore, and then, when I was in 7th grade, to Brentwood, a working-class community now notorious for the presence of Central American gangs like MS-13. Both communities were in the midst of significant demographic change, which was reflected in their schools. Despite my parents' hopes, we learned shortly after our arrival that access to a good education was not guaranteed by our move to suburbia. Because of our Spanish surname, my older brother and I were initially placed in special education. Our placement was not based on an assessment of our academic abilities but on the assumption that we couldn't speak English, even though we were fluent (English was our first language). As was true in many other school systems, students who did not speak English in Bay Shore were treated as though they suffered from a learning disability. Since I was only in 3rd grade at the time, I didn't object to spending the day coloring and making paper airplanes. However, my elder brother, Felipe, immediately knew that something was wrong. He told my parents that we had been placed in the wrong classes and that we weren't learning anything. Like many immigrant parents, mine tended to be deferential toward school officials, so they initially reacted with disbelief. After all, this was a well-regarded school system located in a predominantly white, suburban community. Surely, my parents felt, the schools could be trusted to provide us with a quality education. Nevertheless, after repeated entreaties from my brother, my father relented and made a trip to the school to inquire about our placement. A New York City police officer at the time, he decided to make the visit wearing his uniform. After hearing school officials explain that our placement in special education was appropriate, my father insisted that he be allowed to visit the classes we had been placed in. Upon seeing that nothing that could be described as academic work was occurring there, he demanded that we be removed and placed in new classes. Flustered and unsure of how to deal with this angry policeman, the school administrator explained that before we could be moved, we would have to be assessed. After a short, standardized exam confirmed what my family knew all along, my brother and I were immediately taken out of special education and placed in gifted classes. That change in categorization, made possible by my father's intervention, resulted in my brother and me being tracked into rigorous courses with middle-class, high-achieving students (most of whom were white) for the rest of our school years. This completely changed our academic trajectory. Ultimately, my elder brother went to Harvard and I went to Brown. I often wonder what might have happened had my parents not intervened to get us out of special education, and how many children experience a similar sorting but have parents who are unable to advocate for them. Throughout my primary and secondary school years, I was one of few students of color in my classes. In middle and high school, the majority of Black and Latino students at my school were in lower-tracked and vocational classes. I knew and socialized with them, but I also became friends with some of my white classmates. I even became friendly with some of those who I knew were racists. On my very first day at West Middle School in Brentwood, I got into a fight with a white student who made a joke about me and called me a "n___." The incident occurred in my social studies class in the presence of my teacher while we were watching a film that had something to do with Africa. This was not to be my last fight over racism. I quickly learned the importance of standing up to racist name-calling from other students, and even teachers. I also had clashes with other Black students who questioned my loyalty because I was different and not in classes with them. Over time, I figured out how to navigate these conflicts on both sides and avoid fights. I came to realize that despite their racism and outward hostility, some of my white classmates and teachers were decent people. I learned how to connect with them, as well as with my Black and Latino peers who were not in class with me. It helped that I played sports (soccer, basketball, and track), which provided me with a social arena where I could form relationships with all kinds of students. Community members protest against school segregation outside a school in Englewood, New Jersey, in 1962. When I got to Brown, I was initially intimidated because many of my classmates, both white and non-white, were from affluent families. Many had attended elite prep schools that I didn't even know existed. I felt like an imposter and doubted my ability to compete academically. However, after a few months on campus, I began to realize that unlike many of my affluent classmates, I knew how to work hard in the face of challenges, and how to work with people from different backgrounds. Additionally, though I was only 18, I also had a clear sense of my identity from a cultural/racial standpoint. In Brentwood, I had been forced to defend myself, physically and intellectually. That experience prepared me to be unafraid of taking on people who attempted to make me feel inferior. After a short period of adjustment, I was excelling both academically and socially. I now realize that my experiences in Brentwood helped prepare me for the Ivy League. With more than 5,000 students, my high school was only slightly smaller than Brown, and in many ways, far more intimidating. In Brentwood, I had learned to study hard to meet the demands of rigorous academic work. One of my strategies, especially for challenging courses like chemistry, calculus, and physics, had been to study with groups of other students outside of class, including some of my white classmates. This experience helped me to avoid feeling intimidated by my peers at Brown and to recognize that I could form bonds even with people who were very different than me with respect to race and class. In fact, one of the people I became friends with at Brown was John F. Kennedy Jr., son of the former president. He and I got to know each other because we both played on the rugby team and we were both involved in protests against apartheid in South Africa. In my classes at Brown, I was not afraid of speaking up to ask questions or even challenge professors, most of whom seemed to welcome my comments and interventions. Despite my working-class background, attending racially integrated schools had provided me with a valuable form of social capital that made it possible for me to advocate for myself and others, navigate rules and barriers to pursue my goals, and form strategic alliances with mentors, friends, and associates based on recognition of our common interests. Aside from my friends, one of my most important sources of support at Brown came from my mentor, Professor Martin Martel. A chain-smoking sociologist, Martel, who was white, took an interest in me and became my mentor during my sophomore year. Over time, our relationship developed, and he proceeded to open doors of opportunity that I never knew existed. I realize now that because I had formed close ties to some of my white teachers in Brentwood, I was willing to embrace Martel as a mentor. Even though he was long-winded and I had to endure his four-pack-a-day cigarette habit (back then, professors could smoke in their offices), the relationship was invaluable to me. Martel let me know about available fellowships (I was a finalist for the Rhodes Scholarship), hired me as a teaching assistant for lower-division courses, and encouraged me to enroll in graduate-level courses, and ultimately, to pursue a doctorate in sociology at the University of California, Berkeley. My experience was unique but not an anomaly. Researchers who have studied school integration have documented similar benefits for both students of color and white students (Kahlenberg, 2012–2013; Wells et al., 2016). In this respect, I think it is essential that those of us who went to integrated schools let people know about the benefits of our education. Of course, even as I say this, I also readily acknowledge that my experience with racially integrated schooling, like that of many other Black and Latino students, was not entirely positive. The prejudice and bigotry I encountered were very real, and without considerable support from my family, my school experiences might have left me academically and psychologically damaged. I also readily acknowledge that I was privileged in some ways. Had I been tracked into English as a second language or remedial classes, the fact that I attended a school that was nominally integrated would undoubtedly have resulted in little benefit to me at all. But too often, we only hear about the pain many communities endured during the nation's push for racially integrated schooling in the 1960s and '70s. Even as we acknowledge the tensions and conflicts of those ugly years, we must also call attention to the positive experiences and outcomes for many Black and Latino children who attended racially integrated schools. For example, we now have a vast body of empirical evidence that many of the Black and Latino children who participated in the METCO program—a voluntary desegregation effort that made it possible for a significant number of children of color from Boston to be bused to affluent schools in the suburbs—benefited significantly, especially when compared to their counterparts who remained in Boston's racially isolated schools (Eaton & Chirichingo, 2011). Sadly, research of this type is neither widely known nor particularly influential in current debates over school integration, such as those taking place in New York City. At the same time, many highly sought-after private schools boast of their commitment to diversity and equity, even when most of the students they serve are white and affluent (Reardon & Yun, 2003). The same is true of many public magnet schools and charter schools, which research shows are more likely to be segregated than traditional public schools (Camera, 2017; Perry, 2017). Given the demographic changes occurring in our society, it is essential that support for integration be far more than tokenism and lip service. On the occasion of the 65th anniversary of the Brown decision, it is important to remember that civil rights and educational opportunity are deeply intertwined. Though many politicians, including several of our most recent presidents, have stated that education is the civil rights issue of the 21st century, they have seldom elaborated or acted on this principle. Unlike President Lyndon B. Johnson, who connected the two issues directly with the enactment of the Elementary and Secondary Education Act in 1965, and who understood that pursuing equality in educational opportunity was essential for advancing civil rights, most political leaders since—both Democrats and Republicans—have pretended that we could pursue one without the other. We have clear evidence that we cannot. Despite its flaws and limitations, the effort to racially integrate our nation's schools continues to be important to the health of the diverse nation we are becoming. Imagine what might have happened if instead of erecting additional barriers to make racial integration more difficult, the courts had built upon the legacy of Brown to tear such barriers down. Would the United States be as racially polarized and divided as it is now if more individuals had had the experience of learning together? What if our society had gone even further than merely placing children from different racial and ethnic backgrounds in schools together, but had also committed to equality of opportunity in accessing the curriculum and the supports needed to be successful? What if we had made a concerted effort to integrate the teaching force, and were more intentional about the need to prepare teachers to work in racially diverse classrooms and build learning communities rooted in respect, trust, and empathy? In our current political climate, these ideas may sound like pipe dreams and fantasies. The Trump Administration has not named the pursuit of racial integration as a priority, nor has it directed resources to communities with the greatest needs. However, there are still a small but significant number of communities across the country that remain committed to the pursuit of schools that are racially integrated and equitable. Many of these are in university towns like Evanston, Illinois; Durham, North Carolina; Ann Arbor, Michigan; and Cambridge, Massachusetts. I spent nearly 20 years living and working in one of them—Berkeley, California—where I also served on the school board, taught classes, and enrolled four of my five children. While the experience wasn't always entirely positive, I know that my children benefited from the integrated schools they attended, and I believe that other children deserve this opportunity, too. Throughout the country, we are dealing with a significant rise in racism and hate crimes. We are also reminded regularly of the consequences of allowing racially isolated school communities that are overwhelmed by the effects of concentrated poverty, to languish without the support they need. We live in a prosperous, multiracial society and we must redouble our commitment to integrated educational opportunities for all. Moreover, because of our lack of will to enforce Brown, too many of our children are growing up unprepared to participate in our increasingly diverse society. Many have inadequate knowledge about the diverse racial and ethnic groups that now make up our country, and they are not gaining experience in how to live and work successfully in a society where soon no racial or ethnic group will constitute the majority. It is time to regenerate our commitment to the promise of the Brown decision and remind all who doubt its importance why it still matters. There is no doubt that what happens in our nation's schools will play a major role in determining the type of nation we become. Given the current state of affairs in our nation and our schools, we have good reason to be concerned. Let's not take this issue lightly. Boschma, J., & Brownstein, R. (2016, Feb. 28). The concentration of poverty in American schools. The Atlantic. Camera, L. (2017, Nov. 3). New culprit in racial segregation? Private schools. U.S News & World Report. Eaton, S., & Chirichingo, G. (2011). METCO merits more: The history and status of METCO. Boston, MA: The Pioneer Institute. Gamoran, A., & An, B. (2016). Effects of school segregation and school resources in a changing policy context. Educational Evaluation and Policy Analysis, 38(1), 43–64. Grant-Thomas, A., & Orfield, G., eds. (2009). Twenty-first century color lines. Philadelphia, PA: Temple University Press. Jung, M., Costa Vargas, J. H., & Bonilla-Silva, E., eds. (2011). State of white supremacy: Racism, governance and the United States. Stanford, CA: Stanford University Press. Kahlenberg, R. (2012–2013). From all walks of life. New hope for school integration. American Educator, 36(4), 2–7, 10–14, 40. Perry, A. (2017). How charter schools are prolonging segregation. Washington, DC: Brookings Institute. Reardon, S., & Yun, J. (2003). Private school racial enrollments and segregation. In R. Kahlenberg (Ed. ), Public School Choice and Private School Vouchers. New York: Century Foundation Press. Siddle Walker, V. (2000). Their highest potential: An African American school community in the segregated south. Durham, NC: University of North Carolina Press. UCLA Civil Rights Project. (2014). Brown at 60: Great progress, a long retreat and an uncertain future. Wells, A., Fox, L., & Cordoba Cox, D. (2016). How racially integrated schools and classrooms can benefit all students. New York: Century Foundation. 1 "Black," in reference to an ethnic group, is capitalized in this article in accordance with the author's preference. Pedro A. Noguera is distinguished professor of education at the Graduate School of Education and Information Studies at UCLA and the director of the Center for the Transformation of Schools. He is the author of numerous books on race and education.